The holidays can sometimes be hectic, especially when trying to find the right gifts for the serious foodies in your life. Consider me your personal shopping assistant. To save you time and frustration, I’ve pulled together a list of my favorite go-to holiday gifts for 2014. Be sure to grab one for yourself while you’re at it – and make the holidays merry and bright! 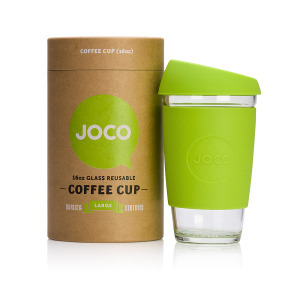 Take this glass coffee cup anywhere you’d jolt some java. Perfect for in the car, at the office, and even at your local Starbucks. 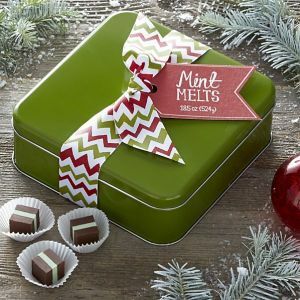 A favorite holiday gift of mine for over a decade, you’ll find Mint Melts at Crate & Barrel (in-store and online). 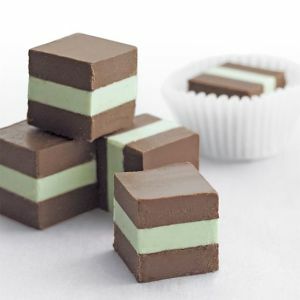 These smooth mint creams are sandwiched between layers of premium dark chocolate. If you have the will power, keep a tin in your hall closet for those last-minute holiday party invites. Absolutely a piece of mint chocolate heaven on earth! It’s no secret that one of the best parts of the movie experience is the fresh buttered popcorn! 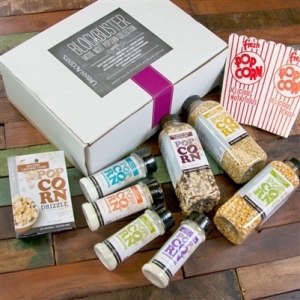 Now Urban Accents (located in Chicago’s Ravenswood neighborhood) has made popcorn the star with this Blockbuster Movie Night Ultimate Popcorn Lovers Collection that will satisfy savory, tangy, sweet and cheesy taste buds alike. This gift set includes premium White Gold, Jumbo, Tricolor Kernels, White Cheddar, Dill Pickle, Sweet & Salty Kettlecorn, Sea Salt & Vinegar Seasonings, and Buttery Caramel Corn Drizzle. Everything that Urban Accents makes is original and oh-so-tasty. For a one-of-a-kind spicy gift, try their new Create Your Own Personalized Seasoning Blend. Simply take their quick spice quiz (only 4 questions!) and it will create a custom spice blend exclusively for you. You can even name your blend! Get a jar of Ole Smoky Tennessee Moonshine in one of 18 uniquely original flavors, including Shine Nog, Strawberry Lightnin’, Harley-Davidson Road House Customs Charred, and Pumpkin Pie moonshine. 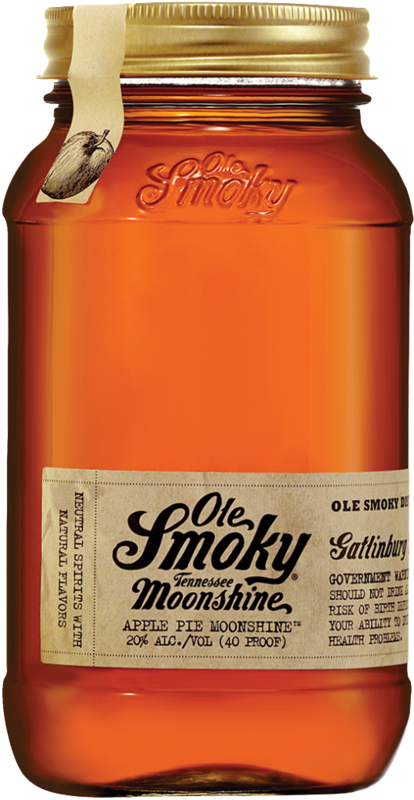 Ole Smoky comes in 40, 80 and 100+ proof, and are great for baking, cooking. 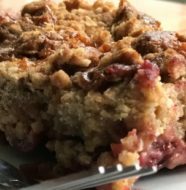 Try the Apple Pie or Blackberry Moonshine flavors in your favorite brownie recipe for an extra kick. For the chocolate lover with an adventurous palate, gift any of Vosges Haut-Chocolate’s mini chocolate bar libraries. Libraries were never sweeter! Try the new Super Dark Chocolate Mini Bar Library or Mini Bacon Chocolate Bar Library flavors. VIP tickets to the 5th Annual Baconfest Chicago 2015, April 17-18, at UIC Forum. 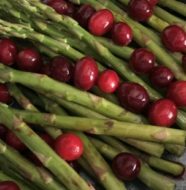 You’ll find hundreds of chefs, restaurants, and vendors featuring the very best in bacon. You won’t find a larger gathering of porcine products under one roof anywhere in the Midwest. And Baconfest Chicago donates a portion of its proceeds to the Greater Chicago Food Depository, raising over $75,000 last year. 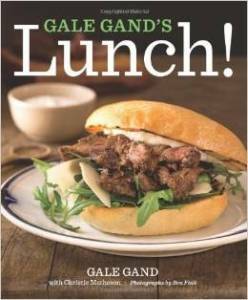 Acclaimed Chicago chef Gale Gand shares her favorite lunchtime recipes in her latest cookbook, Gale Gand’s Lunch!. 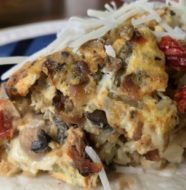 If you’re a fan of breakfast foods any time of the day (like me), you’ve gotta try Gale Gand’s Brunch! : 100 Fantastic Recipes for the Weekend’s Best Meal. 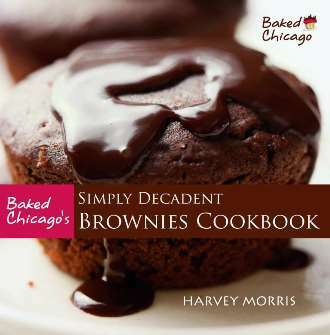 Download a free digital copy of Baked Chicago’s Simply Decadent Brownies Cookbook. Available for free exclusively on Amazon.com (December 8 – National Brownie Day, of course! – through December 12). Disclosure: I was given free samples from JOCO, Urban Accents, and Ole Smoky Tennessee Moonshine to review. I get no additional benefits for talking about these products or companies. All opinions about these products are 100% my own.